Body mechanisms are very complex, but energy balance concept is simple. According to the concept of energy balance in weight management, a person will lose weight when the calorie expenditure is more than the calorie intake. Exercise ensures that the weight is lost from the fat and not muscle. If you are wondering how many calories you need daily to lose weight, you can make use of very handy and free online tools that will calculate this amount depending on your height, weight, age and lifestyle. First step in calculating how many calories to lose weight is to calculate the amount of calories you need to maintain your current weight. This amount will be an approximate value and a sum of your BMR (basic metabolic rate – amount of calories you burn in a day, at rest) and the calories you spend through exercise. As you know how many calories you require or spend to maintain your current weight, you need to consume less calories than the calories you expend to lose weight and how many calories to lose weight will then depend on how many less calories you want to consume to lose desirable amount of weight. 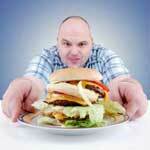 About 3500 calories make one pound of fat. By calculating how many calories to lose weight per day, you can lose this pound of fat in a few days or a few weeks, just by exercising more or just by decreasing your calorie intake. A very low calorie diet plan can make you lose weight, but the weight loss can be due to muscle loss or water loss and the weight is often gained back quickly, once normal caloric intake is resumed. You are also often advised never to restrict your calorie intake to less than 1200 per day, unless you are under medical supervision. Exercising regularly and eating a low sugar low carb diet (consuming only natural carbs), combined is the best way to lose weight. Don’t be under the false presumption that if you drink more water, your body will retain more water, causing you to gain weight. In fact, you should be drinking water to lose weight. When your body is dehydrated, it tends to retain water, making you gain weight and bloated. Hence, always stay hydrated. The concept of energy balance and how many calories to lose weight is individual to a person, irrespective of the gender. Men usually have a higher calorie requirement than women as they have relatively large bodies compared to those of women.